Belize as You Like It! Our 8-Day Belize as You like It Holiday Adventure, begins in the Inland Jungle of Cayo with opportunities for Cave Canoeing and Zip Lining, Cave Explorations, Rainforest & Jungle Hikes and Maya site explorations, and Waterfall Rappelling, plus a visit to the Belize Zoo, or Cave Tubing; and ends relaxing on the Caribbean Island of Ambergris Caye with sailing and snorkeling adventures. This One Week Belize Beach Getaway at Ambergris Caye features a relaxing vacation package on the beaches of Ambergris Caye at the SunBreeze Hotel, located within a stroll of the quaint town of San Pedro featuring a seafront Pool, a Sun Deck and a great restaurant. Enjoy your holiday further while partaking on a snorkeling trip to the Hol Chan Marine Park, and a Sunset Cruise along the South Coast. The Turtle Inn Deluxe Seaside Adventure is a high-end Belize Vacation Package at the Placencia Peninsula with snorkel at the Belize Barrier Reef, nature cruise on the Monkey River and a Caribbean sunset cruise. Kayaking, trimaran sailing and paddle boarding on the Caribbean waters of Placencia are also included on this deluxe Belize vacation package. This One Week Belize Beach Getaway at Ambergris Caye features a relaxing vacation package on the beaches of Ambergris Caye at the one of the best small hotels in Belize, Pelican Reef Villas. This exclusive five-star rated beachfront property features 24 deluxe suites and personalized services. Enjoy your holiday further while partaking on an exploration of the Lamanai Maya Site in the mainland and an Island snorkeling trip to the Hol Chan Marine Park and a sunset sailing cruise. This One Week Belize Beach Getaway at Ambergris Caye features a relaxing vacation package on the beaches of Ambergris Caye at the award winning Victoria House Resort & Spa, the island’s finest deluxe boutique beachfront resort. Enjoy your holiday further while partaking on an Island snorkeling trip to the Hol Chan Marine Park and on the day of your choice experience a one hour Victoria House Signature Relaxation Massage. This 8-day Deluxe Belize Jungle & Beach Escape is a flexible vacation package that lets you choose your own adventures in the Inland Jungle of Cayo, where the exclusive Mystic River Boutique Resort is Located. After your exciting adventures, continue to the beach in Ambergris Caye, where you will enjoy a wonderful stay at the finest deluxe hotel in the island, the Victoria House. The Belize Nature & Adventure Thrills One Week vacation package to the Placencia Peninsula features four fun adventures of your choice: Monkey River Safari, Reef Snorkeling, Cockscomb Jaguar Reserve Nature Walk, Lubaantum Maya Ruin, or Maya King Adventure Park Zip Lining & River Tubing, plus time to enjoy kayaking opportunities, three swimming pools, and a great beach. During this 8-day Ruins, Reefs, & Rainforest Belize Holiday Adventure discover the awesome beauty of the Inland Jungle. Explore the Maya site of Tikal in nearby Guatemala, and zip line and cave canoeing while staying at the exclusive Mystic River Boutique Resort in the Inland Jungle; then visit the Placencia Peninsula for a relaxing stay at the top rated Robert’s Grove Beachfront Resort. Enjoy an Island Excursion with swimming and snorkeling. 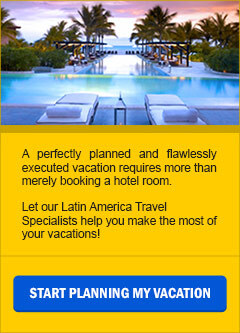 During this 8-day Mayan Explorer & Beach Combo vacation package discover the awesome Mayan sites of Tikal, Xunantunich & Caracol while staying at the exclusive Mystic River Boutique Resort in the Inland Jungle; then fly to Ambergris Caye for a relaxing stay at the five-star rated Pelican Reef Deluxe Villas Beachfront Resort. Enjoy a snorkel trip to the Hol Chan Marine Park in the Barrier Reef and relax on Belize Beaches. This 8-Day Belize Beach Getaway at Ambergris Caye features a relaxing vacation package on the beaches of Ambergris Caye at Ramon’s Village, a Tahitian-like beachfront resort, conveniently located close to the village. Enjoy your holiday further while partaking on an exploration of the Lamanai Maya Site in the mainland and two Island activities, a snorkeling trip to the Hol Chan Marine Park, and a Sunset Cruise along the South Coast.